I love my life! I write this with confidence because I mean it whole heartedly. Today I am a successful natural health professional, Holistic Kinesiologist, Mind Body Medicine practitioner, mentor, and mother to five incredible children. Because of my unique journey I found my passion later in life, I am privileged to work with people every day, creating empowerment and lasting change. I enjoy a life I didn’t even know was possible for me, this is why I know it’s possible for you! 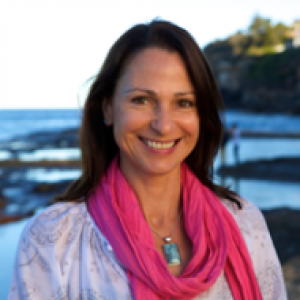 Deborah Sweeney Kinesiology is registered with The Australian Traditional Medicine Society (ATMS) and insured with Marsh Insurance. My working life has mostly been in the film and television industry working in various admin and production support roles. It was here that I found I had a natural talent for helping others achieve their fullest potential and build the life they desired. Having my first child at 18, I didn’t get the chance to know myself before becoming responsible for a new life. Learning big life lessons early led me to unconsciously pour my whole heart and soul into my own children to ensure they felt safe, loved and understood. I have never felt comfortable to put myself first, I didn’t get a chance to really know myself and become aware of what I wanted for myself until my children were becoming less dependent so I gradually had spaces of time for self reflection which led me to discover the expansive world of natural healing therapies. I started working on myself, taking the step to my own empowerment and slowly but surely created the life I have today. There are times when I’m still a little shy and the six year old kid in me wants to hide away in my shell. I rarely suffer from anxiety anymore, and if I ever feel the signs of anxiety creeping up on me I have the tools to address it and stop it in its tracks. I know myself and it feels amazing. Life is inherently unpredictable, I have confidence knowing that whatever happens I have the tools to face any challenge. For me there is no way I could experience these life changing effects without sharing with others. I am dedicated to empowering you to live the life of your dreams! I want you to feel confident, happy and excited about life like I do! I know it’s possible for you! Is it time to make POSITIVE change in your life?